Enjoy a Bondi Summer at this Spectacular 90 m2 Beach Front Property. Fully Decorated with Modern Balinese Feeling, with Plasma TV,amazing space and comfort and a fully equipped kitchen. Send us your request and we will give you the best price for the period requested. The building is located in Campbell Parade corner Hall St, in the heart of Bondi Beach just opposite the beach. 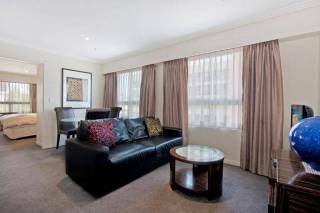 The area is super safe and many say it's the best place to stay in Sydney. Under the apartment there are coffee shops, supermarkets, pubs and bars. Only walking distance away a great ocean pool, gyms, parks and sport grounds. 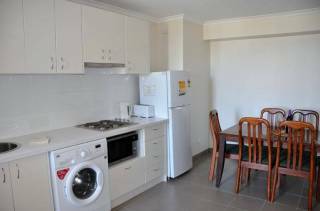 The apartment is located in the back of the building, it features two spacious double bedroom with a large built-in wardrobe, a bathroom, a kitchen and a lounge looking at a lovely balcony. This apartment can sleep up to 5 people. As part of the package bed linen an pillows and are also provided. *Master bedroom: Queen Bed with huge built-in wardrobe. *Second bedroom: 1 Queen Bed + 1 Single Bed, huge built-in wardrobe. Luonge Facilities: LCD Plasma TV USB, DVD, Surround System. The bus stop is opposite the apartment where you can go to Bondi Junction train station in less than 5 minutes which connects to Central Station (10 min), Darling Harbour, The Rocks, Opera House, where you can catch the ferry to Manly, Taronga Zoo and the Northern Beaches. We guarantee you top accommodation and service and we are always here to assist you. July/Aug/Sep $214 per night based on 4 people extra person $22, extra children $16. Oct/Nov $252 per night based on 4 people extra person $22, extra children $16. 22nd December 2013 till the 12 January 2014 Rates are $423. Rates in Dec /Jan/ Feb are $268 per night based on 4 people extra person $22, extra children $16.